Hello ! 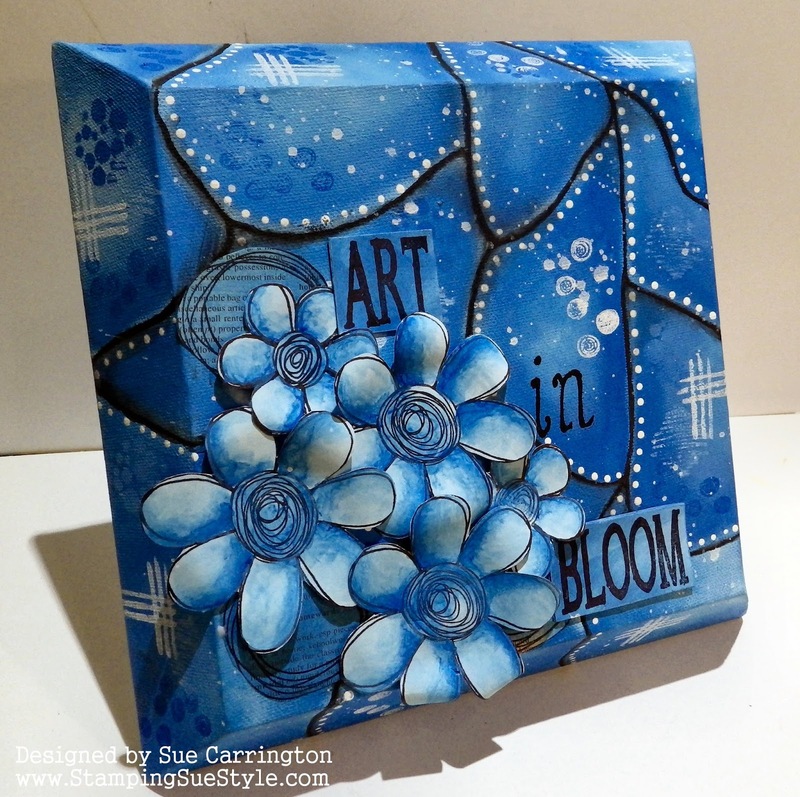 Welcome to today's inspirational post, it's Sue here and I decided to create another project in line with the current theme 'Oh so Blue'. You still have a few days to join in with us ! I gave my journal page a coat of Gesso to seal it then used Fresco Finish Turquoise. 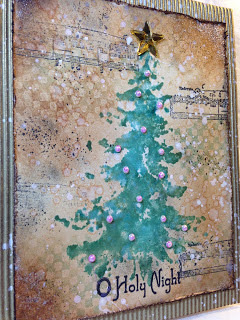 I used the circle stencil which is by TCW, with Snowflake Fresco Finish. I don't know what it is but I love large numbers and this stencil by TCW is one of my firm favourites. It's also great for using with the 'bumping' technique. 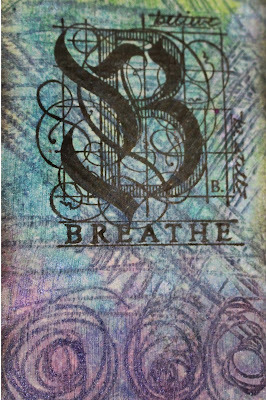 I stencilled the numbers with Mermaid Fresco Finish then moved the stencil slightly and stencilled again with Space Cadet Fresco Finish. 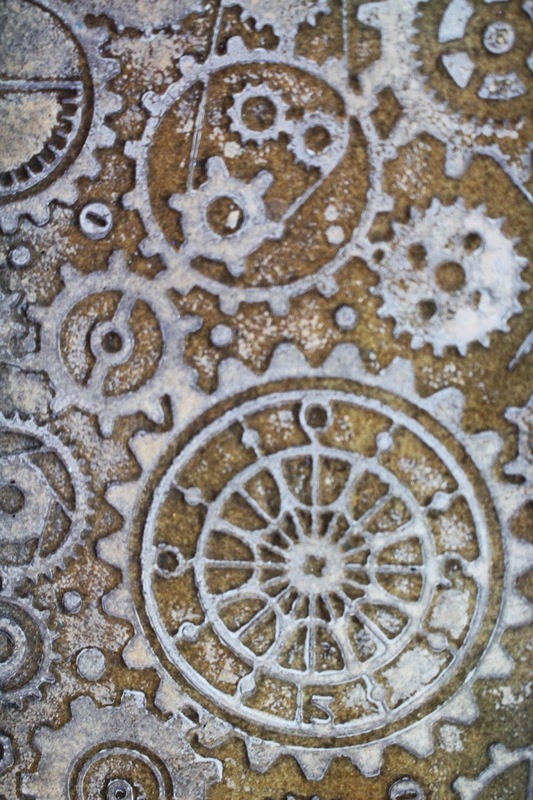 To add some texture I used Ranger Texture Paste through a Dina Wakley stencil and then continued using the stencil with Snowflake Fresco Finish. 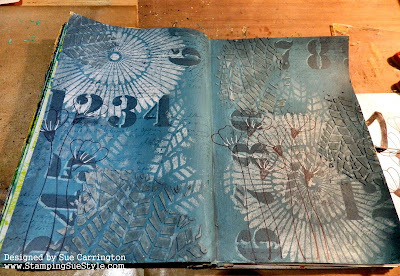 I wanted to 'knock back' the page and tie everything together so I used Space Cadet again, this time mixed with some satin glaze and painted it all over the page. After a minute I used a baby wipe to wipe it away, leaving some of the colour behind. 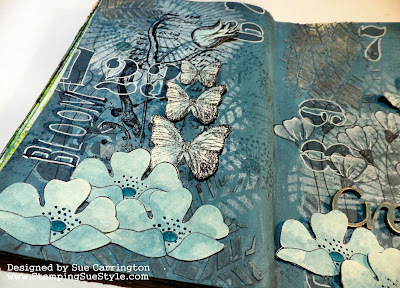 I've stamped some script over the page using a Tim Holtz stamp and Cornflower Blue Archival ink then stamped the poppies (which you can just about see!) on both pages. I used Snowflake Fresco Finish slightly watered down to paint the poppy heads. I stamped and cut out some Wendy Vecchi flowers onto Prima watercolour paper then painted them with watered down Fresco Finish paint. 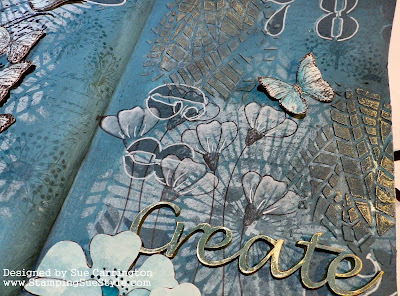 The word Create is a laser cut MDF piece that I've painted with Fresco Finish paint then rubbed White Fire Treasure Gold over it. On the opposite page I used a PaperArtsy Hotpicks stamp, stamping the tulip flower and butterflies onto more watercolour paper. 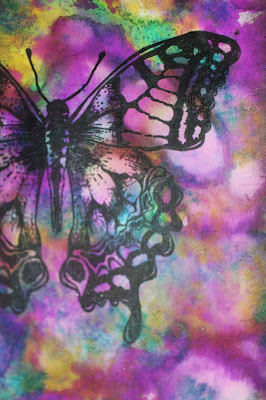 To balance the pages I added a single butterfly to the opposite page. Finally, to make the numbers pop I grabbed my white Sharpie pen and outlined them. 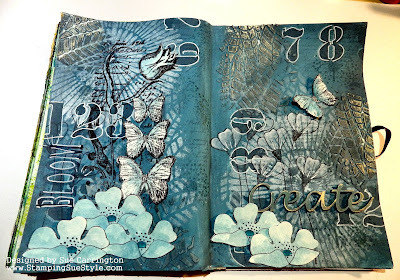 I hope you've enjoyed today's inspirational post and I also hope it's given you inspiration to join in with the current challenge, Oh so Blue ! Welcome to today's Guest Designer, Lula ! Hello and welcome ! 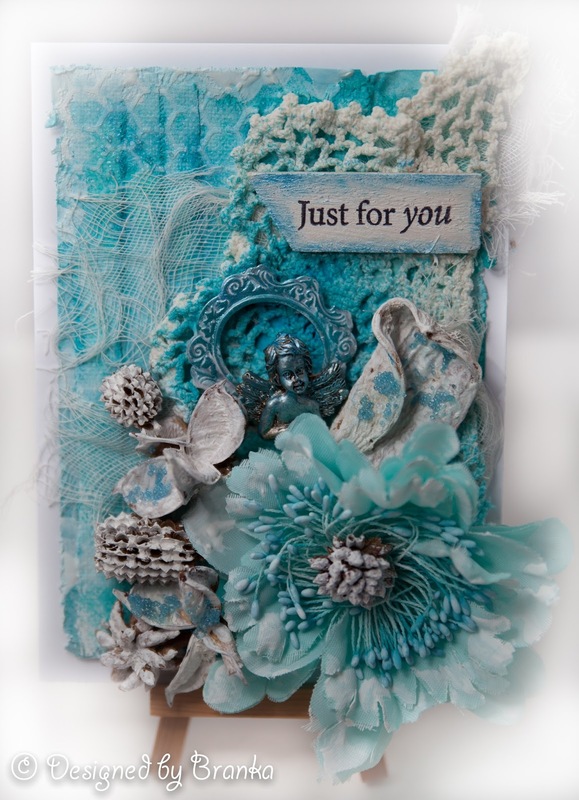 Today we are welcoming Lula of U Luli as our Guest Designer. 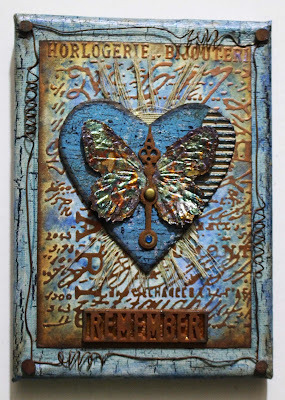 Lula was chosen by the DT as the winner of the Remember Remember challenge and invited to join us for a day. Let's move on to hear from Lula. My name is Lucyna Marynowska, aka Lula from U Luli. I come from the north of Poland. 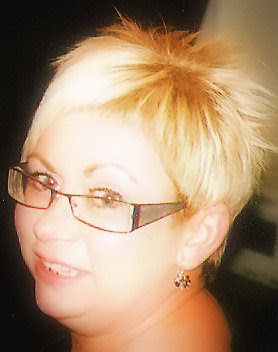 I am a widowed mum of two grown up boys and a proud granny. 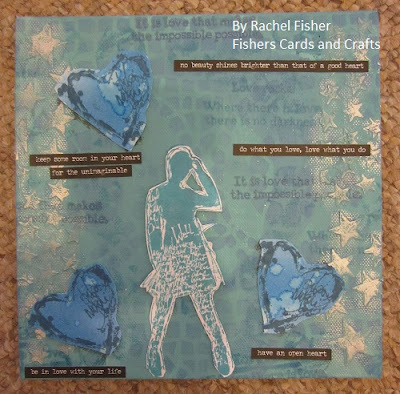 I started my crafting journey 4 years ago as a card maker and immediately became an addicted paper-lover. 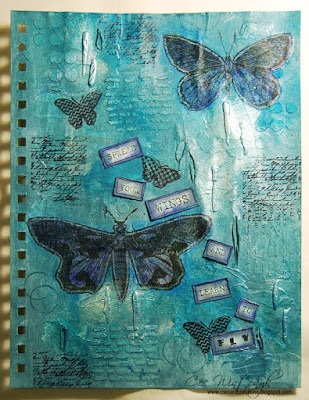 My latest craze is playing with mixed medias and altering things. 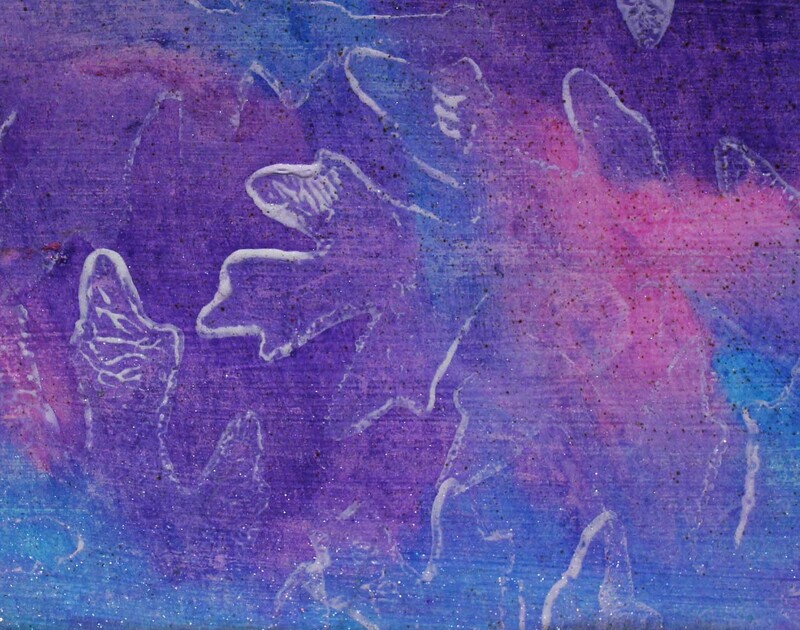 I like to mix different mediums and techniques and I have a real love of colour and texture. I love challenges to spark my creativity and I love making crafty friends all over the world. Let me tell you first it is such an honour to be a GD again at Stamps and Stencils. Thanks bunches Ladies! My take on the theme is a layered tag. I was inspired by the little blue flowers breaking through the snow, giving us hope for better, brighter days soon. 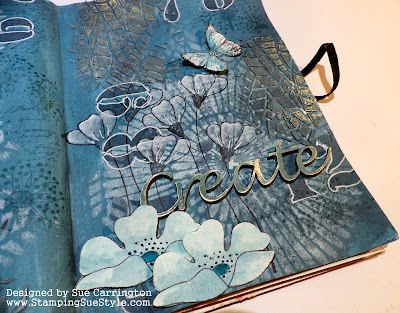 I started with dry embossing some blue cardstock using a Memory Box stencil. 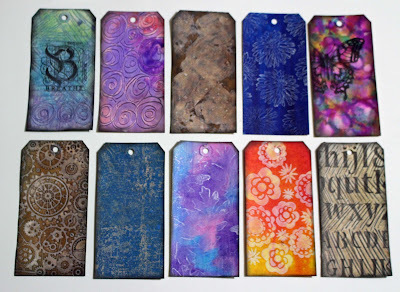 Next the tags were cut with my new set of dies. I gave them a coat of gesso using the same stencil. Added some colour with gelatos and Perfect Pearls Mists. I fussy cut some flowers from a tissue and glued them using gel medium. I finished my tag adding some stamped text, white embossed snowflakes and some embossing on the edges. I put all the pieces together using dimensional tape. The blue rhinestones, a bow and a sentiment were the final touch. 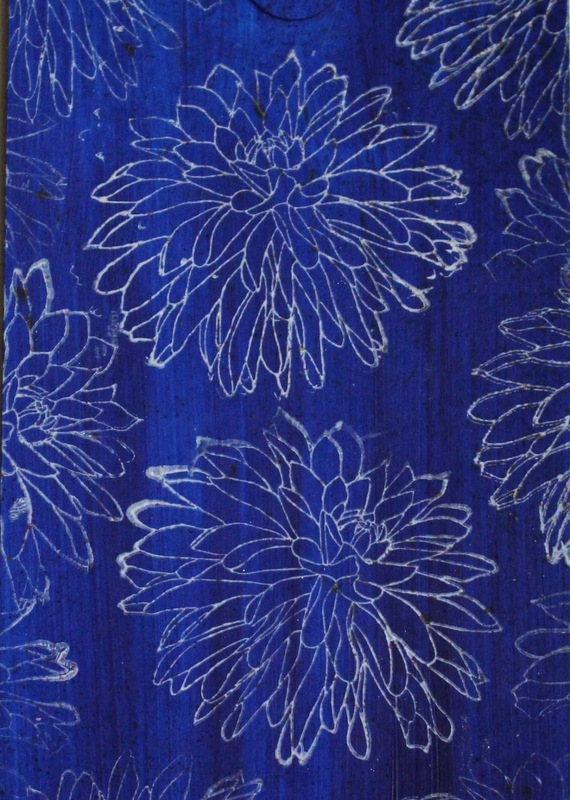 I'm sure you'll all agree that Lula's layered tag is beautiful and has provided lots more inspiration for the current challenge Oh So Blue. There's still plenty of time to join in and you could be our next Guest Designer ! 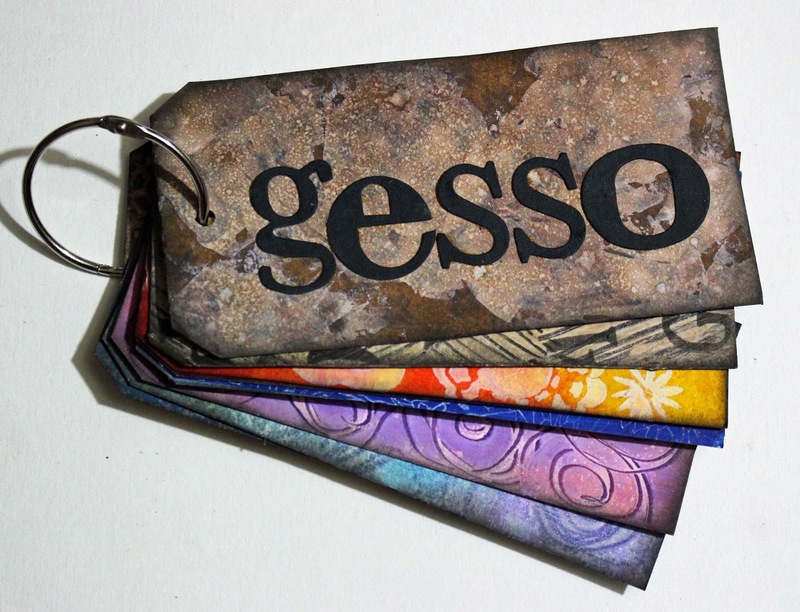 Gesso ~What's It All About ? Hi everybody! It's my turn to put together one of our 'Inspirational Posts' and I've chosen to play with gesso. I have a large pot of Liquitex white gesso in my stash, which I've used to make the samples I have to share with. If you aren't already familiar with gesso, it's a type of paint that is generally used to prepare a surface ready for painting. 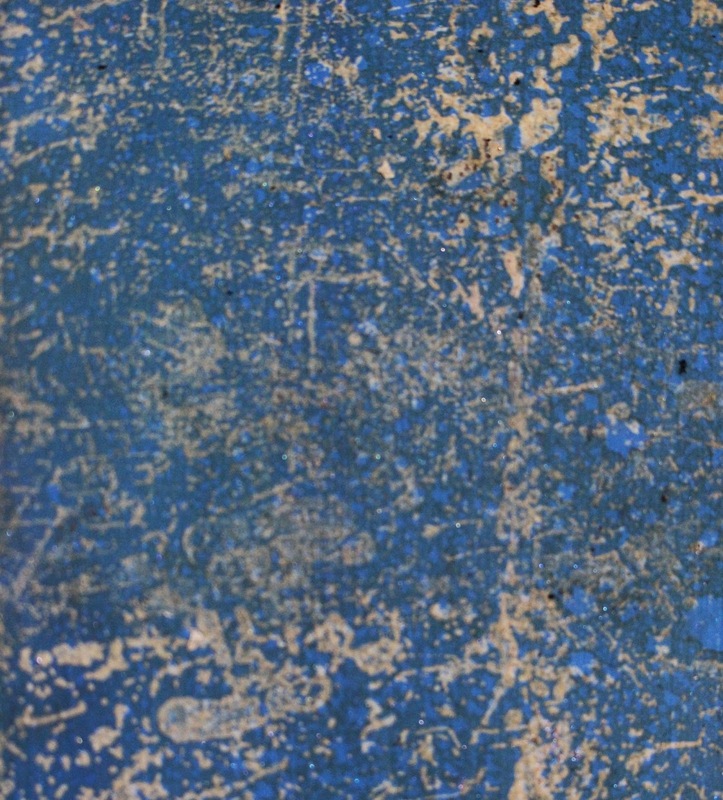 When it dries it has a slightly rough feel, this is because gesso contains chalk or gypsum, which helps other more 'slick' paints such as acrylics, or oils,to stick to the prepared surface. Gesso also has some other great properties so without further ado let's see what I found out.......Oh and there are lot's of pictures so a cuppa might be in order ! For this first tag, I applied a coat of white gesso, not too thick and whilst it was still wet, I doodled onto the surface with the end of a paintbrush. Once the gesso was dry, I sprayed the tag with a variety of Distress Sprays. I then stamped the image with Archival Ink. Here's another doodled and sprayed tag, This time I applied a thicker coat of gesso, which has given the surface more texture. 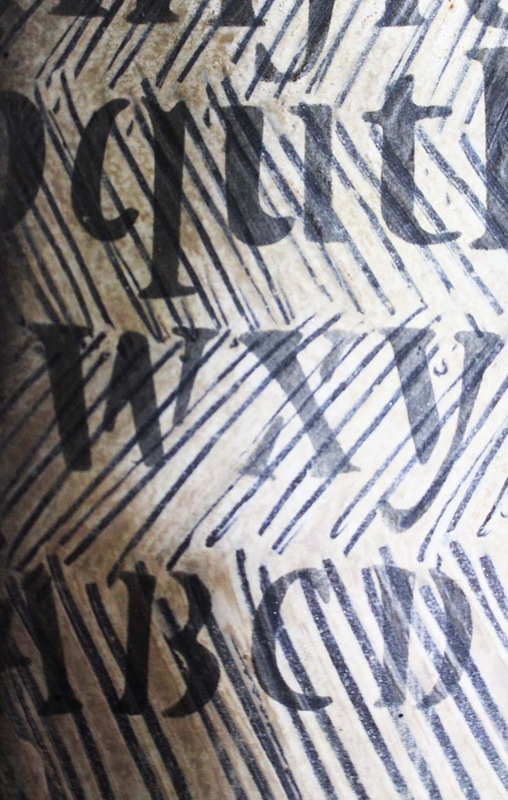 This tag was firstly prepared with a piece of patterned paper adhered to the surface. I then smeared gesso over part of the surface using a plastic card . 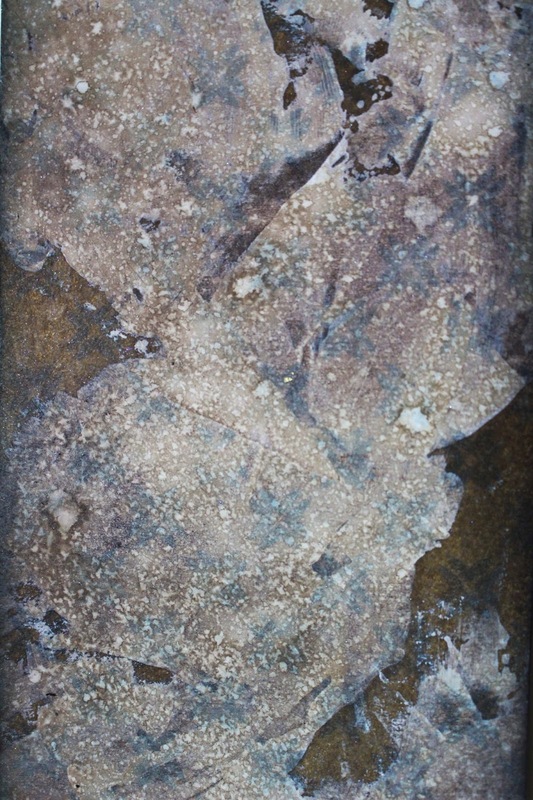 Once dry, I sprayed it with Vintage Photo Distress Ink and spritzed it with water. I really like the level of distress on this one. 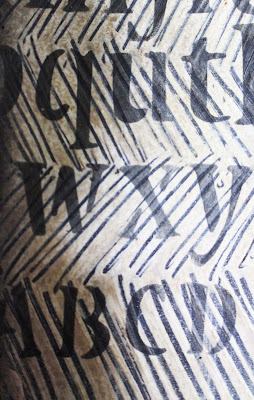 This tag was firstly painted with acrylic paint, without being gessoed first. You can see how the paint paint streaks. Once the tag was dry, I used a piece of cut and dry foam, to gently tap the gesso onto the stamp. I think it's given a nice crisp image, I'll definitely be doing this again as I think the gesso has worked better than any of the white ink pads I've got. 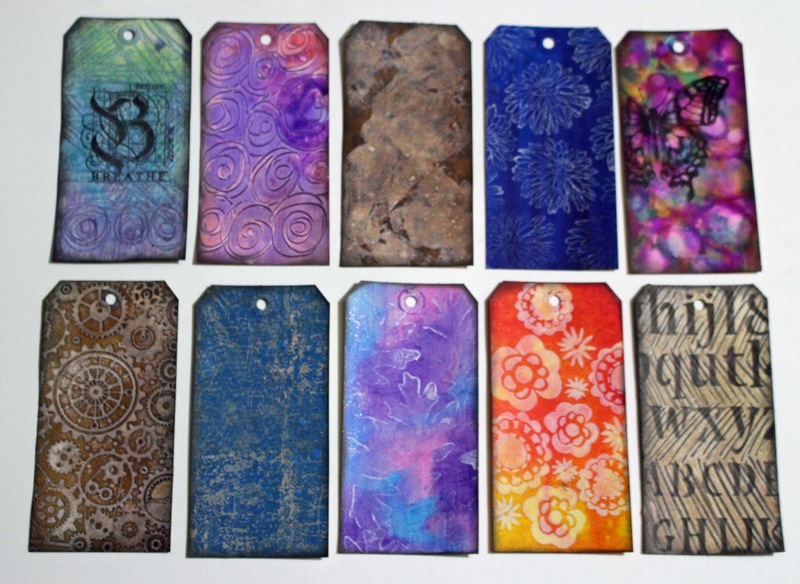 I firstly coated this tag with gesso and when it was dry, I applied Alcohol Inks with an ink blending tool. I also dripped a little blending solution on top. I like this because the inks have reacted in a very similar way to when they are applied to glossy paper but there is no gloss! For me that's a good thing because I love the colourful effects of Alcohol Inks but I don't always want a glossy surface. Another of my favourites. 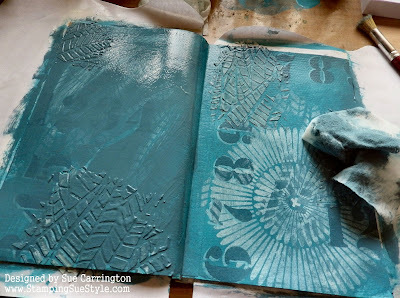 To create this tag, I used Cut and Dry foam to apply gesso to the raised surface of an embossing folder, I then ran it through my Big Shot. You need to work fairly quickly as the gesso dries quite fast. once the tag was dry I sprayed with Distress Spray. 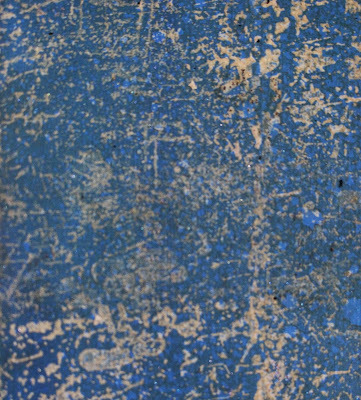 The gesso acts as a resist and gives a lovely distressed finish. Remember to wash your embossing folder before the gesso dries. 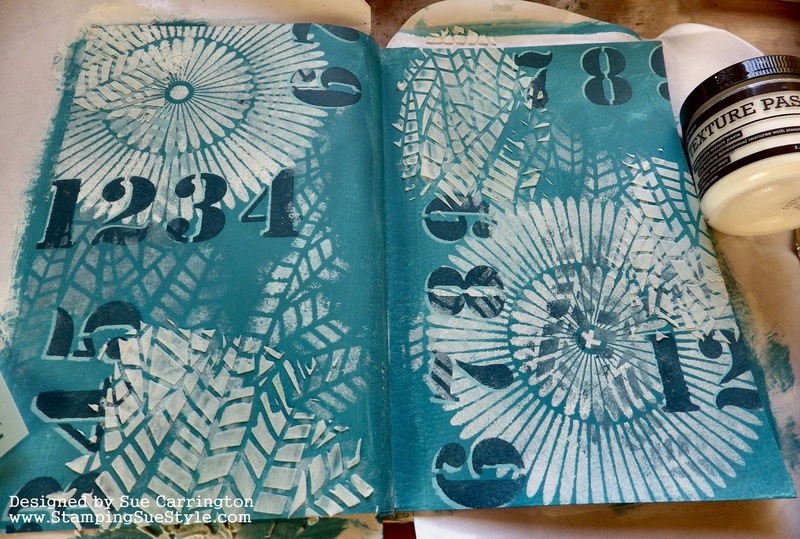 I keep a bowl of water handy so that I can just drop any stamps, stencils or embossing folders straight in and avoid any heartache ! Now this might be my real favourite ! It's another stamped tag, but this time I painted the tag with acrylic paint to which I had mixed in some gesso. This has the effect of 'flattening' the paint, giving it a really nice matte finish. 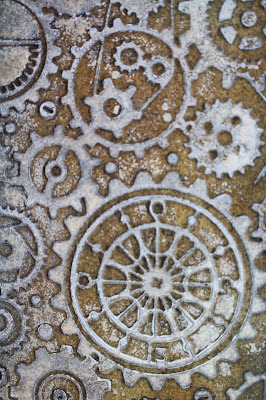 Once this was dry, I stamped the surface with one of Andy Skinner's industrial stamps again applying the gesso with a piece of cut and dry foam. 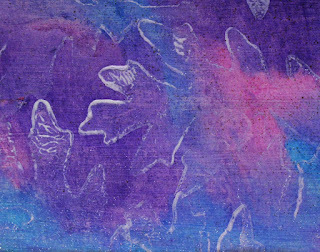 I then used a blending tool to apply Distress Ink and did a bit of flicking over the surface with water. This tag has been given a coat of gesso and then had Gelato's blended on the surface. 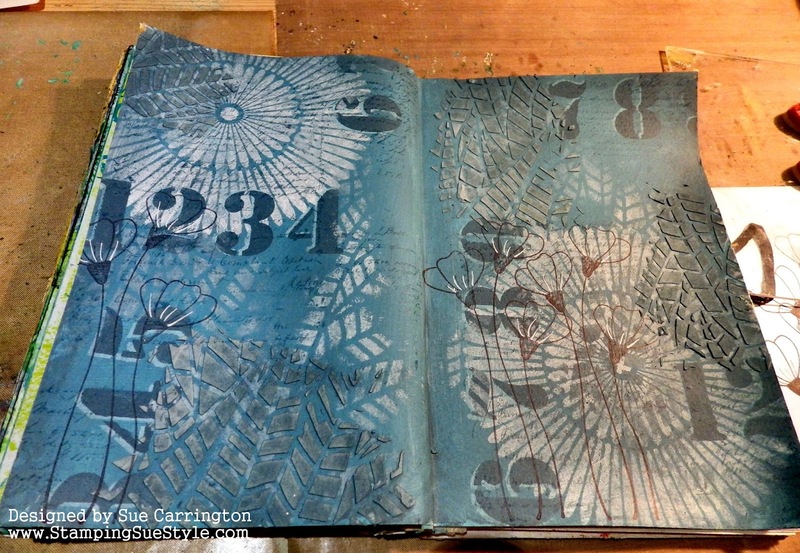 I then used a foam stamp with gesso. I rather like the delicacy of this one. 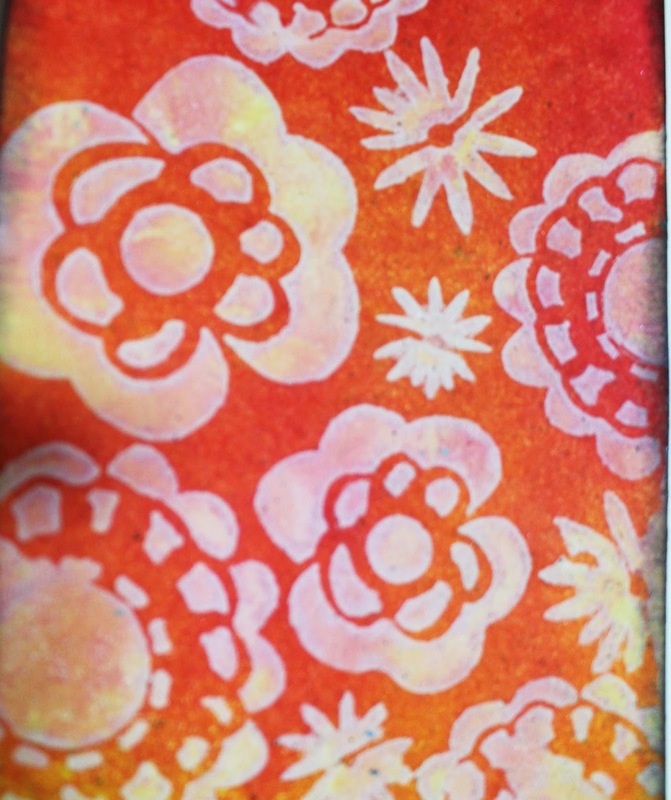 This tag has had gesso applied to the bare tag, through a stencil. It was then sprayed with Dylusions Inks. As you can see, the gesso works really well as a resist. and finally...... a black tag that has had a fairly thick coat of gesso applied. It has then been scratched with the end of a paint brush, sprayed with Distress Ink, and then stenciled with black Archival ink. Again it has a nice tactile surface. Well ! if you have lasted to the end of this post,well done and Thank You ! I think you might be able to tell that I've really enjoyed my playtime. 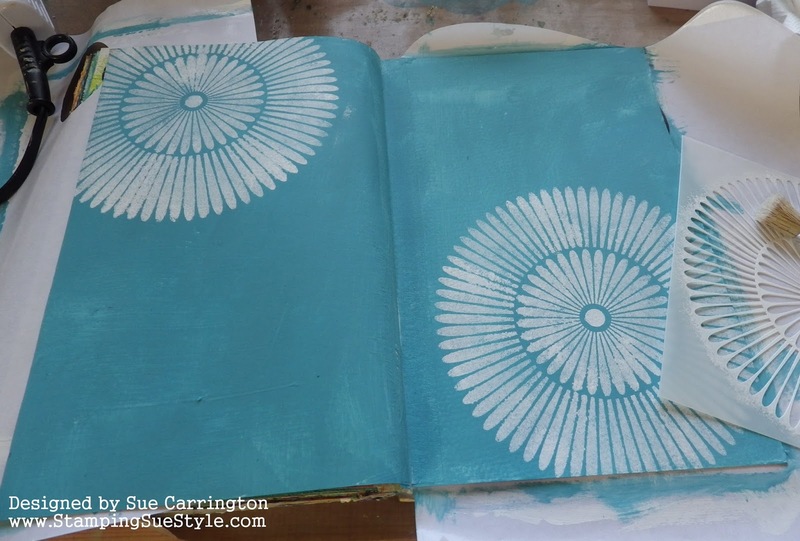 I'm sure there are many more possibilities and I hope I may have inspired you to have a go with gesso. Hello everyone ! 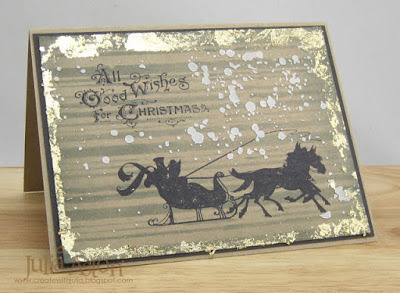 We're back today to announce the winners of the Grungy Christmas challenge. There entries were all fantastic which made it extremely difficult to choose a winner, but as always we got there in the end. We felt that Kezzy's cards really captured the Grungy element to Christmas and treated us to not one but 3 cards to boot ! Kezzy please email carringtons22@yahoo.co.uk for details of your Guest Designer spot and winners badge. All of the winners will also be pinned on the Stamps and Stencils Pinterest Board! 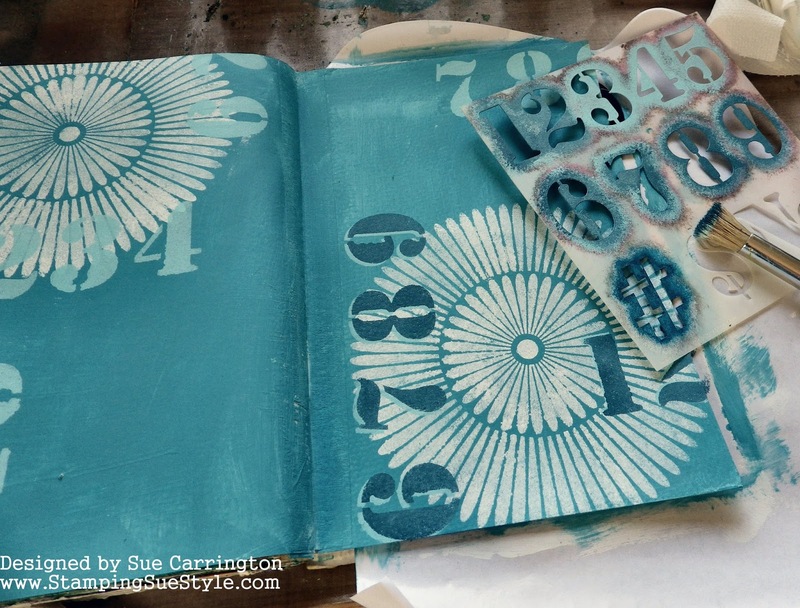 Happy New Year and welcome to the first challenge of 2016 here at Stamps and Stencils. It is Cec here and I am your hostess for this challenge but before I tell you all about it, please join us in saying farewell to Julia and Yvonne and wishing them all the best in their crafty ventures. This time of year it is easy to start feeling blue now that the festivities surrounding Christmas are over and winter is making its presence known with less sun and more miserable weather so instead of giving in to it let's celebrate blue. 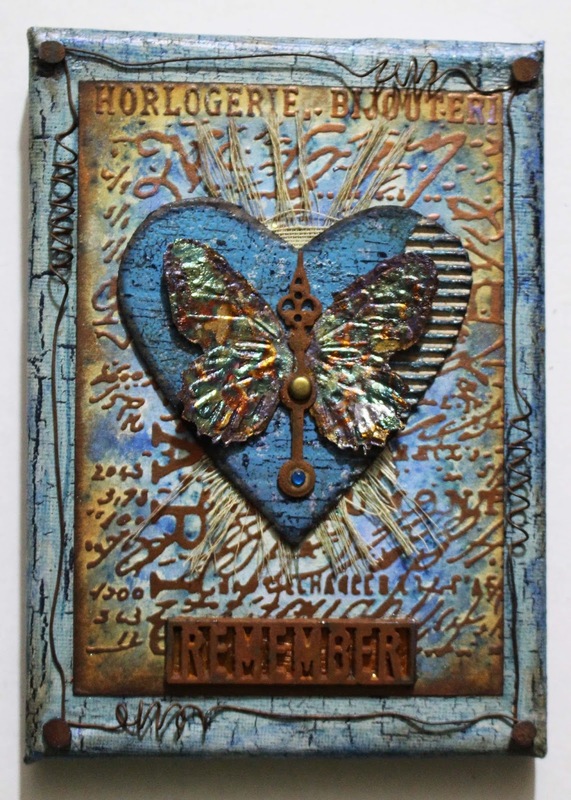 Create a primarily blue mixed media project that includes some stamping and/or stenciling. You may add one other colour to your creation but it must be mostly blue. We hope you will share your creativity with us and you could have the opportunity to become a Guest Designer at a future date. In the meantime our designers have created some wonderful blue projects for your inspiration. Please click on their names to be taken directly to their blogs so you can get all the details.